For nearly a decade, she worked internationally for the IBM Corporation, including several years in West Africa as a Regional Manager based in Ghana (where her family originates). She managed company operations in the West African region, overseeing multiple projects in Ghana, Nigeria, Liberia, Sierra Leone, the Gambia and Cameroon. Her position requirements also included regular rotations to the IBM Africa head office in Johannesburg, South Africa. Upon returning to the United States, Erika became the Director of Corporate Relations for the Thunderbird School of Global Management. She later went into business for herself, founding a computer hardware and software consultancy providing independent consulting to Africa-based corporate, educational, and government clients. She is now an active consultant and trainer with top US Oil companies, global technology firms & other industry corporate and non-profit clients. In the summer of 2011, she spent nine weeks touring Ghana on a national campaign trail as media spokesperson and personal aide for a presidential candidate. Drawing from her experience, she has authored Cross-Cultural Management and Organizational Behavior in Africa published by John Wiley & Sons (2009) for the Thunderbird International Business Review. She has also written a businessperson’s guide to the social and professional cultures in sub-Saharan Africa, titled Business and Social Etiquette in Africa: A Guide to Understanding Culture and Business Practices (forthcoming in 2016). She attended school in both Canada and the US and graduated from Arizona State University with a Bachelor of Science in Business Administration (BSBA) in International Marketing. She has extensive in-house corporate training and development experience and conducts all programs solely in English. She has been featured nationally and internationally on National Public Radio (NPR) and in publications such as Money Magazine, Western Africa Magazine, ABE (Arizona’s Black Executives) magazine, The Business Journal, The New Times, The Arizona Informant and The Arizona Republic newspaper. She is also the founder and editor of Africa Business Review: www.AfricaBusinessReview.net. 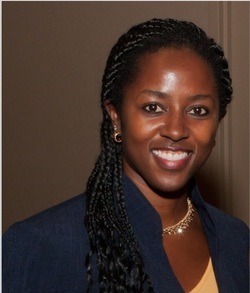 Erika now resides in the USA (Arizona) and is the Executive Director of her own firm, Africa Intercultural Consulting: www.AfricaIntercultural.com. Contact: Africa Intercultural Consulting by Email: erikaagyei@gmail.com or Phone: (602) 488-9685.